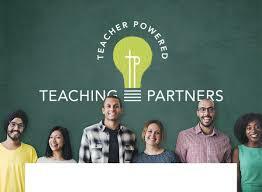 I would like to encourage all of my colleagues near and far to check out a new organization that I am working with called Teaching Partners. TeachingPartners is an online community and personalized professional learning resource for teachers. It offers professional learning workshops within the context of a collaborative community where teachers can connect, have meaningful discussions and share best practices and resources. Teachers can choose the topics and strategies they want to learn, engage at their own pace, and earn micro-credentials and recertification hours in some districts. ​I can hardly contain my excitement about the work that we are doing at Teaching Partners! I am excited to announce a project that I have been working on together with my colleagues at Teach Plus. Over the past several months, we have been exploring ways to form a teacher advisory council to the Colorado Commissioner of Education. Just yesterday, the council was officially launched! Please consider applying to be a part of this incredible work! "The Commissioner's Teacher Cabinet will be a group of practicing teachers from around the state that will serve as a sounding board for the implementation of state education policy and will brainstorm solutions for challenges facing today's educators. The cabinet will share new solutions on issues such as raising achievement for all students, supporting low-performing schools and increasing the number of individuals joining the profession." I recently published an open letter to newly confirmed Secretary of Education, Betsy DeVos. My students provided their own comments and suggestions, which are included. I was interviewed by Chalkbeat for a series called "How I Teach." I spent much of last year writing regular articles for Education Post. You can find them all by clicking on the link above! The Great Equalizer- "An 'Aha Moment"
My colleague Michael Vaughn at Education Post added my recent article about the Common Core Standards in action in my own classroom to his personal website. Check out the full posting here! I recently wrote an article about how the PARCC Score Reports can be used for instructional guidance. Last Sunday, the Denver Post published my guest editorial about the recent release of PARCC scores. I recently was asked to participate in a video series developed by Advance Illinois about my experience working with and on the PARCC Assessment. The videos engage educators from across the PARCC states in answering frequently asked questions about the new assessment. I think the videos are an excellent example of the way that teachers, like myself, have been included in all facets of the development process. Also, I think its clear that the work is truly about elevating learning standards for all students in all states. I am proud of this work and inspired to continue!! Check out the following videos! The Top 8 Reasons I Support the Common Core! Check out this link to Educators for Higher Standards and my list of the top reasons that I support the Common Core for students, teachers and the country! “As a teacher, I can tell you that under the Common Core, I make the decisions about the lessons I present to my students. The Common Core makes clear what information students should master for each grade level. It gives us clear guidelines for measuring students’ success, which in turn helps me develop better lesson plans.” – Jessica Moore is a 5th grade teacher and a Language Arts Staff Developer in a rural Colorado school district. Members of PARCC's Colorado Educator Leader Cadre identified “Back-to-School Night” as a key make-or-break moment for getting accurate and helpful information to parents. At back-to-school night, teachers will give parents an overview of the school year, including the new tests their children will be taking. The trouble is most teachers haven’t experienced the new tests yet so they can’t authentically support them. We need teachers to feel confident saying these changes are good for kids. Jessica Moore, an elementary teacher from Platteville Elementary School and active PARCC ELC member, made the great point that teachers need more than information. They need an experience before they can believe, embrace and share what they know about assessments. First, ask teachers to think about and articulate the knowledge/skills they want their students to know and be able to do. This gets to their emotional connection and why they got into teaching. Briefly outline some of the shifts in the Colorado Academic Standards (at a very basic level). This will mirror what teachers want for students. Finally, have teachers identify some instructional implications. What do they need to do instructionally to help their students get ready to succeed with the standards and the tests? Going through these steps gives teachers more depth of understanding and helps demonstrate how the changes are good for kids. Teachers are teaching and assessing the knowledge and skills that are truly important. Realizing that there are more than 48,000 teachers in Colorado and only a small group of ELC members, Colorado Department of Education staff volunteered to create and distribute the learning modules, bringing the PARCC ELC members in at pertinent times during the process. 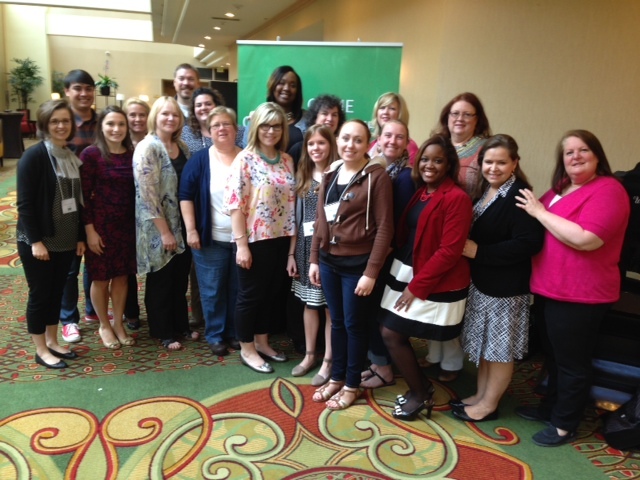 The Colorado team is grateful for the time they had together to advance in their work and support more educators across the state. Over the past month I got to be a part of developing a new series of customizable resources developed by educators for educators. This virtual packet can be customized by schools, districts, and states to share with parents and families to help them better understand the PARCC assessment system. In just a few short weeks, a group led by PARCC Educator Leader Cadre members, came together to synthesize the best of parent materials from the states and identify key messages and key information to communicate effectively with parents and families. As ELC members talked with one another, they learned that, no matter the state or district, parents and families care most about how the new assessments will impact and benefit their individual students. This sentiment drove the development of the virtual packet of materials that is now freely available to educators across the country. The development of these resources is just one example of how PARCC is a partnership of educators, administrators and state leaders, working hand in hand. This one-of-a-kind partnership is the reason I made the difficult decision to leave the classroom last year and join the Parcc Inc. team. I still get to work closely with local educators and classroom teachers every day and to support educators in the PARCC states. Spending the weekend working and learning side by side the most competent, passionate and innovative educators in the country is exciting, humbling and invigorating. I am so thrilled to have the chance to meet and collaborate directly with the lead author of the Common Core ELA Standards. Sue Pimentel shared her thoughts and insights around the process of developing the standards. It has become even more clear the power of the standards and the potential they have to make a true difference in our educational system...if and only if there is EFFECTIVE and thorough implementation by teachers! Thank you Sue for your vision and support of teachers and students in every single school across our country! How we should and should not view PARCC scores.